The pair of frozen corpses were found under a tarp in the machine shed of an empty farmhouse. Two males -- brothers -- both killed by bullets from a Russian automatic fired at close range. The cops have a suspect: a man Deputy Sheriff Carl Houseman busted five years earlier and the county's lead suspect in a series of recent robberies. Houseman knows they have the wrong guy. He also knows they've got something bigger than a burglary gone bad ... especially when the FBI starts showing up in Maitland. The brutal double homicide is just the tip of the iceberg in a case where a killer's trail keeps disappearing like footprints in freshly fallen snow, and where one bad break can send a good cop into a deep freeze. 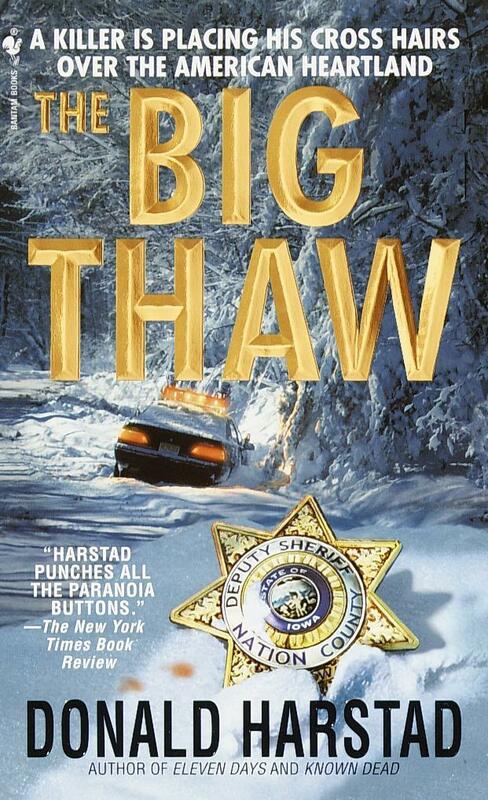 Donald Harstad is a twenty-six-year veteran of the Clayton County Sheriff's Department in northeastern Iowa, and the author of the acclaimed novels Eleven Days and Known Dead. A former deputy sheriff, Harstad lives with his wife, Mary, in Elkader, Iowa.